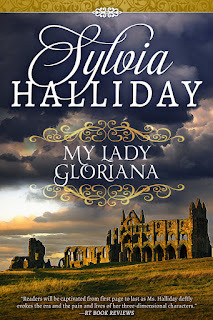 Happy Release Day to Sylvia Halliday, and her new novel, My Lady Gloriana! To celebrate the release, the publisher is hosting a a Tour Wide Giveaway for Five Winners to receive a Print Copy of MY LADY GLORIANA. (Enter via Rafflecopter below.) To visit other blogs participating in this event, click here. The year is 1725. Lady Gloriana Baniard is a beautiful fish out of water. Brought up on the mean streets of London, she is a brash, blunt, obscene force of nature. But thanks to a brief marriage to a disgraced aristocrat, she is forced to live with his noble family and endure the humiliating process of learning to be a lady. Rebelling, she runs away to Yorkshire, where she intends to be a blacksmith, a skill at which she excels. She knows she’ll need a manservant to front for her. When John Thorne appears, she hires him, stirred as much by his irresistible attraction as by his strength. John Haviland, Duke of Thorneleigh, is an arrogant, indolent gambler and womanizer. Having seen Gloriana just once, he yearns to make her his own. When he learns she has run away from her family, he makes a wild bet with his wastrel companions -- he will find the lady and bed her. Disguised as a humble servant, he becomes her assistant, learning the blacksmith trade. The clash of wills between these two proud people creates more sparks than a blacksmith’s anvil, as Gloriana learns to be a lady, Thorne learns humility -- and desire deepens to love. The night was more glorious than he would have imagined. The sweet scents of new grass and spring flowers filled the air with their delicate perfume, soothing his troubled soul. Impulsively, he rolled up his sleeves, then laughed and pulled off his shirt completely. He half-expected to hear the voice of his long-ago nursemaid, chiding him for common behavior that didn't suit the heir to an ancient dukedom. Gentlemen didn't go around half-clothed. “Rest in peace, Nurse,” he murmured, recalling her with tenderness. He'd stripped naked many a time since those days -- and for far less innocent reasons. It was a mild night. Maybe he'd further scandalize Nurse’s memory by going for a swim. He felt young, adventurous, free -- yet strangely sad and melancholy. What had happened to the carefree lad he once had been? What had turned him into this idle dissolute? Surely there was a moment he had missed -- a turning point that might have taken him in a different, more satisfying direction. No. Tonight, with the earth wrapped in silvery moonlight, was for magic. He felt as though something extraordinary was about to happen. Something that would change his life, lead him to a path more splendid and glittering than the moon-dappled one he now followed. He pulled off his shoes and stockings and stripped off his breeches. The sensual night air caressed his nakedness like a harlot’s hand; he felt a quivering and stirring in his groin. He suddenly ached for a woman. But not a clumsy slattern, like the innkeeper’s wife. Nor even a perfumed beauty who strolled St. James’s Park by day and slept on satin sheets by night. He wanted a goddess, as magical and lovely as this moon-kissed midnight. He heard the soft whinny of a horse, the gentle thud of hoofs upon packed earth. The sounds seemed to be coming from the far end of the clearing. He shrank back against the tree trunk, concealing his naked body, and waited. The woman galloped onto the sand, magnificent upon her horse—a vision of perfection that took his breath away. 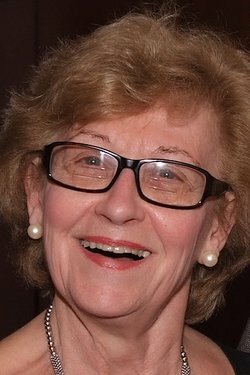 Award-winning author Sylvia Halliday’s first historical novel, written as Ena Halliday, was chosen by Pocket Books to launch their Tapestry line. She subsequently wrote for Popular Library/Warner and Harlequin Historicals under the pen name of Louisa Rawlings, the name of her maternal great-grandmother. She has written for Kensington/Zebra under the pseudonym of Sylvia Halliday. She has published 14 historical romances. Her FOREVER WILD earned 5 stars from RT Book Reviews and Affaire de Coeur, and was a RITA finalist for the Romance Writers of America. Her latest offerings, published by Diversion Books, are MARIELLE (The French Maiden Series, #1), LYSETTE (The French Maiden Series, #2), DELPHINE (The French Maiden Series, #3), DREAMS SO FLEETING, GOLD AS THE MORNING SUN, THE RING, and SUMMER DARKNESS, WINTER LIGHT. FOREVER WILD, STOLEN SPRING, and PROMISE OF SUMMER, written by her as Louisa Rawlings, are available from Samhain Publishing. 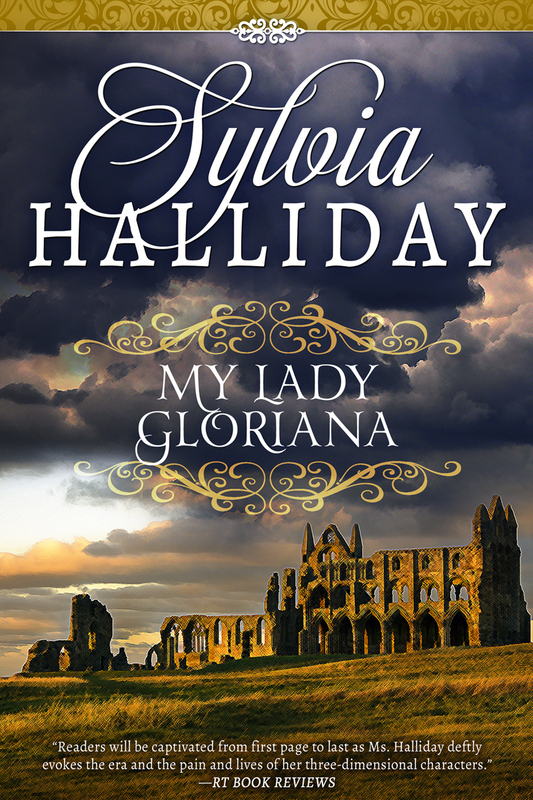 To celebrate the release, the publisher is hosting a a Tour Wide Giveaway for Five Winners to receive a Print Copy of MY LADY GLORIANA. To visit other blogs participating in this event, click here.